Nynas provides applications for Hot Mix Asphalt (HMA) and Warm Mix Asphalt (WMA), as well as temperatures below 100°C. Hot Mix Asphalt (HMA) and Warm Mix Asphalt (WMA) have established a reputation for being highly durable paving materials. Today, well-designed and constructed asphalt pavements can be categorised as long-life or “Perpetual Pavements” – they can last a very, very long time. The demands we place on the infrastructure are continually increasing. Not only in terms of higher performance due to increasing traffic, but also in terms of value delivery – less environmental impact, less traffic disruption, less noise, improved safety and less impact on society. 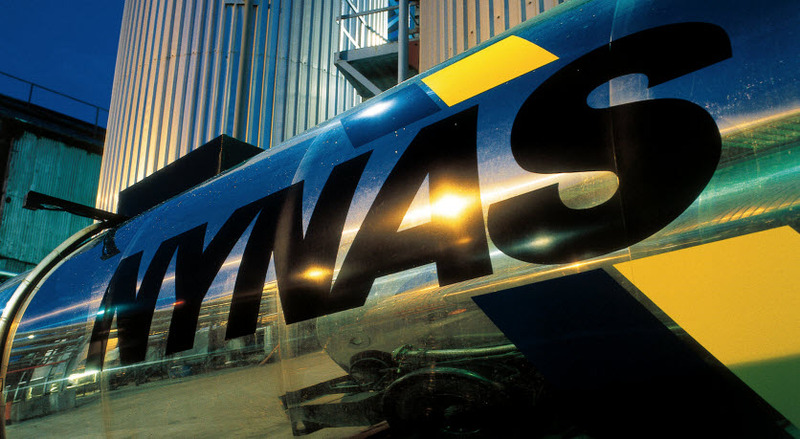 Asphalt needs to deliver best value throughout the supply chain – in the short, medium andlong term – for all users and that is what Nynas' binders deliver. Nynas provides a wide range of bitumen solutions for application temperatures below 100°C that includes bitumen for tack and bond coats, surface dressing, slurry/microsurfacing, cold mixes, foam mixes and semi-warm mixes. Efforts to develop asphalts which require reduced levels of natural resources and consume less energy in production are achieving results, with the industry under pressure to cut both the use of fossil fuels and levels of CO² produced. Reducing the need for elevated temperatures during asphalt production is where the next significant reduction in energy is likely to be achieved. To this end the emerging field of Warm, Half (or Semi) Warm and Cold Mix Asphalt technologies is broadening an already comprehensive toolbox of options available to the industry.